By default, Notifications are set up enabled for all the stock Apple apps. If you don’t use a particular app or don’t really need a notification from an app on your Mac – it is rather annoying to get alerts from them and their accompanying sounds. 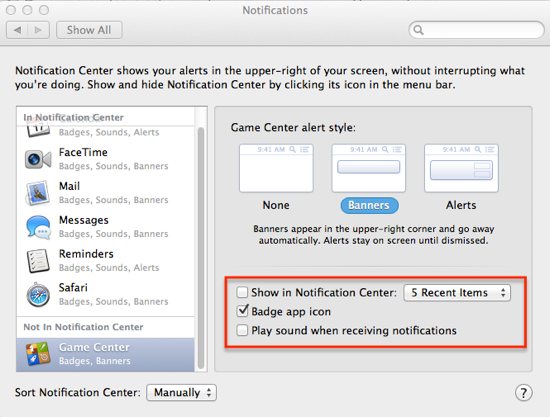 You will have to spend a few minutes to tweak the settings in Notifications as per your needs. Once, you have set it up as per your convenience, you will have no annoying alerts and do away with notification overload. To change the Notifications settings, all you have to do is follow these easy steps. You can change the settings to change whether you need notifications from a particular app or not and even disable sound when receiving notifications. Notifications are done via 2 different styles – banner or alert. Banners appear in the upper-right corner and go away automatically. Alerts stay on screen until dismissed.